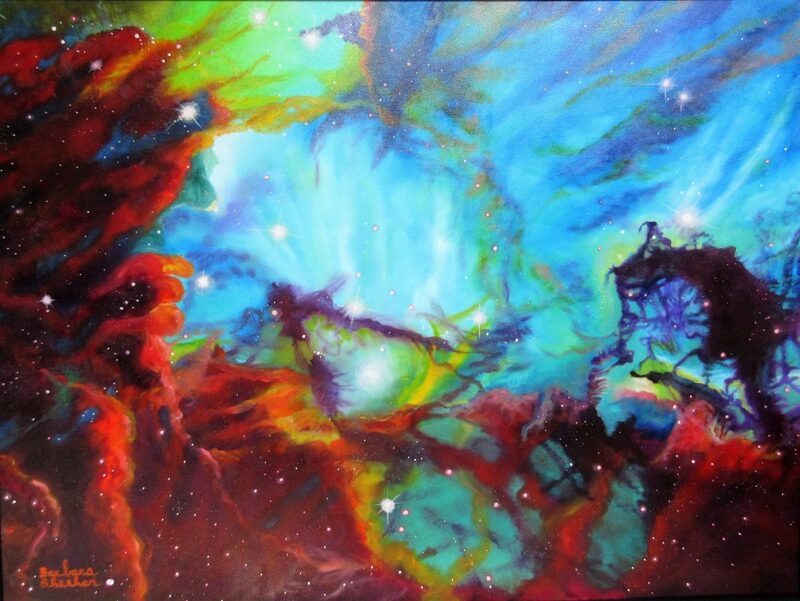 Oil on canvas – 48 x 36 inches, 2016 This painting was featured on the Hubble Space Telescope Facebook page on February 18, 2017. It was a challenge to attempt to capture the original beautiful image, in particular, the seahorse itself with it’s wispy dust structure. A lot of blending in this painting.